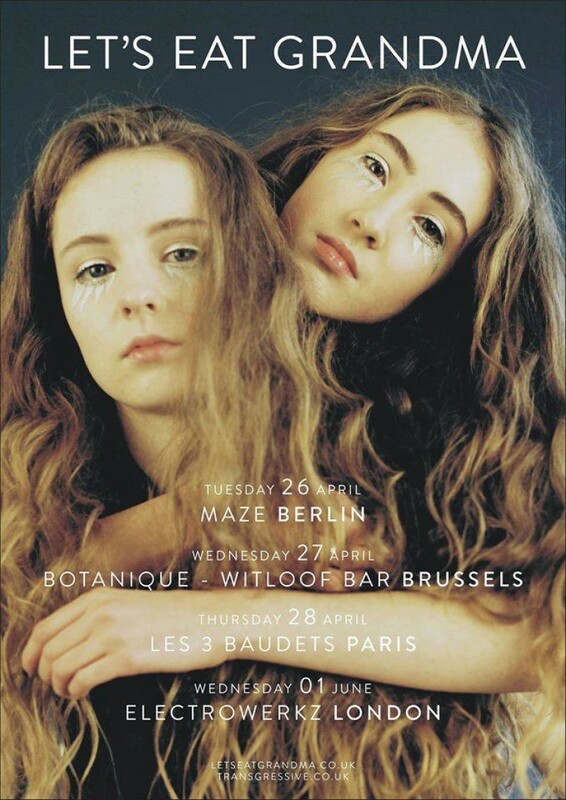 Following Monday night’s exceptional, sold out live show at The Forge in London, Let’s Eat Grandma – the current cover stars of Loud & Quiet magazine - have announced live dates in Berlin, Brussels, Paris as well as a show at London’s Electrowerkz on Wednesday June 1st. The band will also appear at this year’s The Great Escape Festival in Brighton. Live dates with ticket links are below. ‘Deep Six Textbook’ b/w ‘Sink’ is available now on iTunes (HERE) and on limited edition coloured 7” vinyl through Transgressive Records (order it HERE). Details of the duo’s debut album, due for release this summer, will be announced soon.